Whenever I played with Lego sets, there was inevitably a missing piece. Jaime stumbled upon a shop in Santa Cruz, CA, that I wish existed when I was a youngster: a place where replacement blocks can easily be purchased. If Legos aren't your speed, check out Miyoko's find, The Burning House, a blog featuring objects people would take with them if their house was burning. The picks range from the practical (passports and spectacles) to nostalgic (a collection of vintage Oscar Wilde books) to quirky (a Bumblebee Transformer). A quick poll around the Dwell office revealed that pets would be the number one thing saved. What would you bring? Family photographs? An heirloom design object? Leave your "saves" in the comment section—we'd love to know. A BART underwater tube is pulled through the Bay on April 28, 1968. Photo credit is smudged -- inconclusive. Burning House creator Foster Huntington's photo of what he'd save from his burning house. 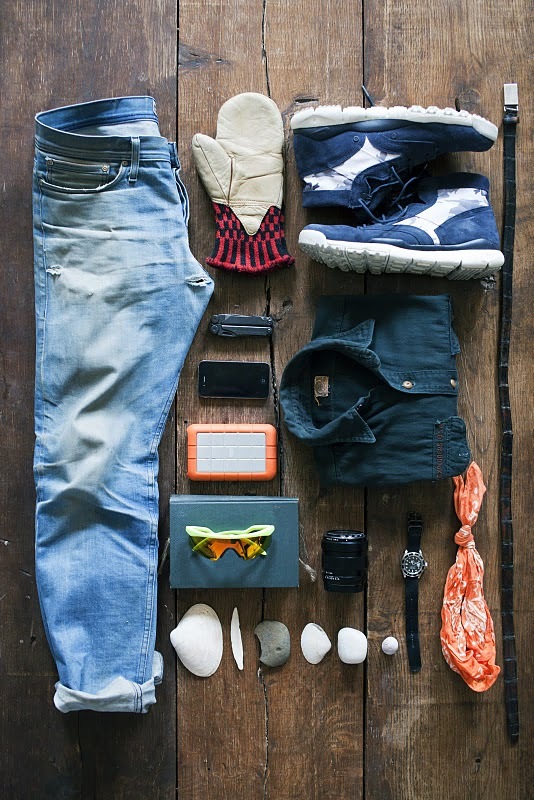 His list includes his grandfather's explorer scout shirt, three shells and one stone from the Maine coast, and his external hard drive, among others. A wall of Lego pieces in their Santa Cruz shop. A shot of the visual intrigue shown on the Graphic Novel Tumblr. For those of you who are not avid readers of the San Francisco Chronicle, Peter Hartlaub is a fizzy whiz of a columnist whose take on Bay Area culture and history is a persistent pleasure. (He also tweeted at me about Rush the other day, which is pretty much all it takes to win me over.) This week on the Chronicle's baby and parenting blog The Poop, he posted a slew of really great photos of the building of the Bay Area Rapid Transit system, or BART as we local commuters call it. It's a wonderful post that shows the development of what was meant to be one of the most innovative transit systems in the US. And dig that picture of President Nixon boarding a train in the East Bay. I thought something smelled on the way in to the office this morning. All photos, including the one above of a boat towing a 324-foot section of the Transbay Tube in 1968, are from the San Francisco Chronicle Archives. I am having a Lego-themed week. First Lou Maxon, who is writing this great Backstory series for Dwell.com, turned in his Week 12 post, which focused on ways to get your kids excited about architecture and house-building. A lot of it had to do with Lego. 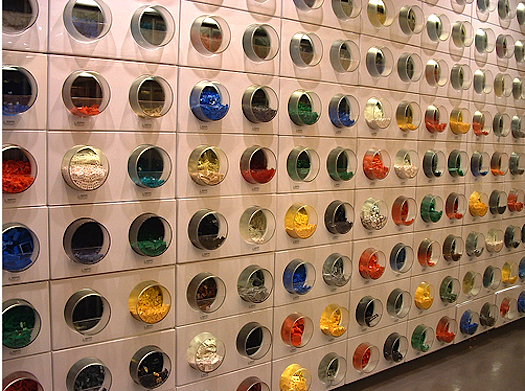 And then I stumbled onto this story about a new Lego store in Santa Cruz, with a 'Pick a Brick' rainbow wall where you help yourself to handfuls of Legos… so awesome. The closest store is in San Mateo. I may have to plot a visit soon. 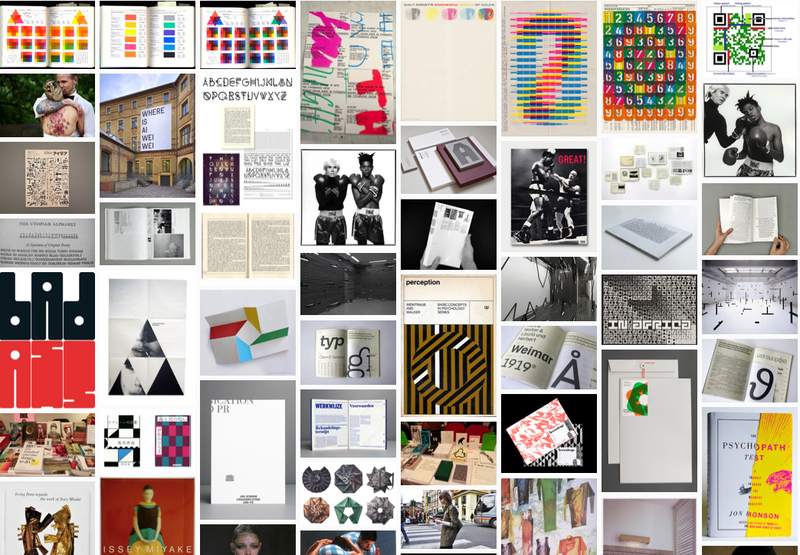 Thanks to Sam for pointing me to this collection of visual intrigue. Bright hues, frenetic patterns, photographs of pop culture icons and a spattering of old masters in the mix. Click away! Aw. Paul Simon. I very much love that dude. And so does Rayna, a fan who yelled up at him during a concert that she learned to play the guitar to Duncan from his second, eponymous album. He invited her onstage, and she strummed and sang—with tears in her eyes and a 'oh-my-gawd-is-this-real-life' expression on her face—the entire song. And well! A magic moment, to be sure.